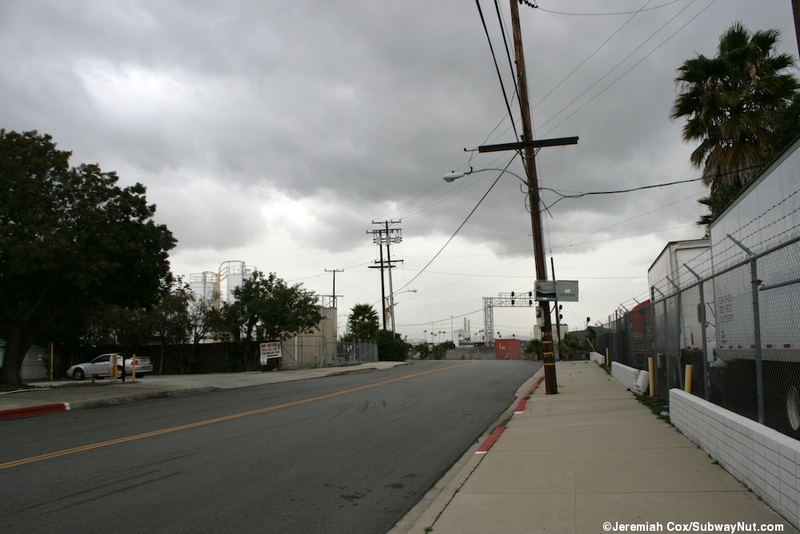 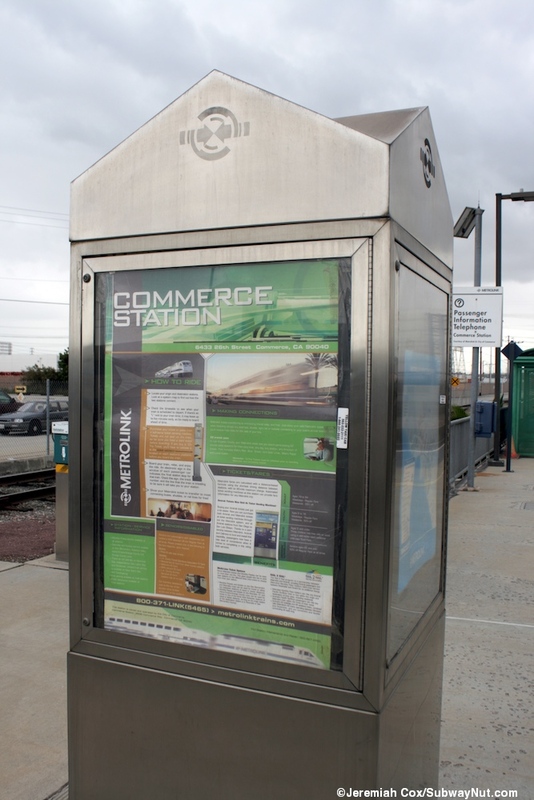 Commerce Station (on the Orange County Line, not to be confused with the more substantial Montebello/Commerce Station on the Riverside Line is 2 miles away) has an interesting history ever since it was opened for Amtrak San Diegans. 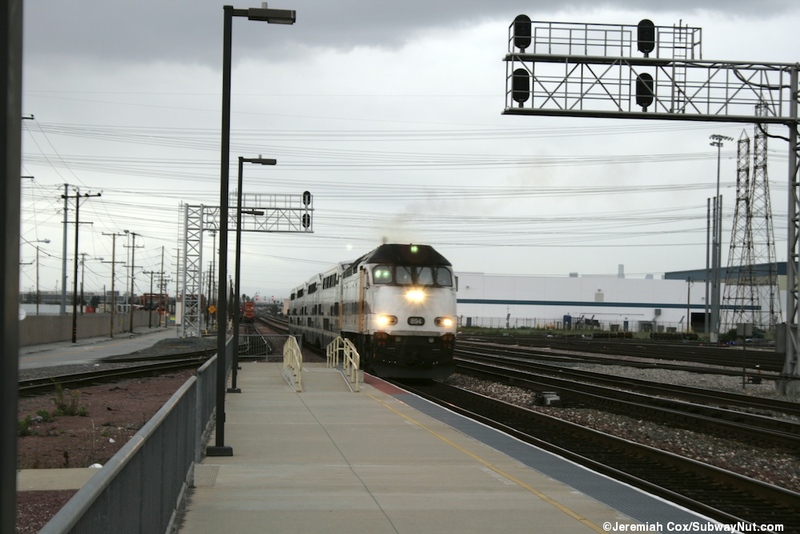 A stop first appears in the October 1989 Amtrak timetable with a coming soon note, the station disappears in the next. 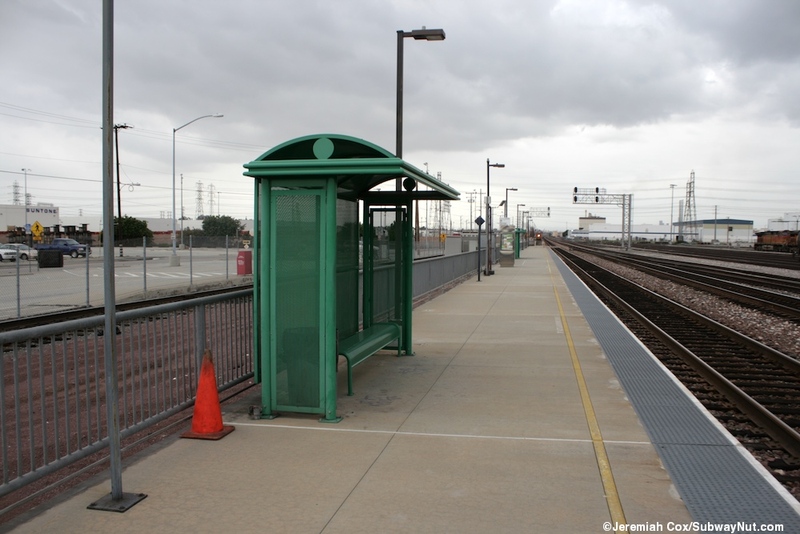 The May 1993 Amtrak timetable has a note saying the station will open on July 15, 1993 and it did on July 28, 1993. 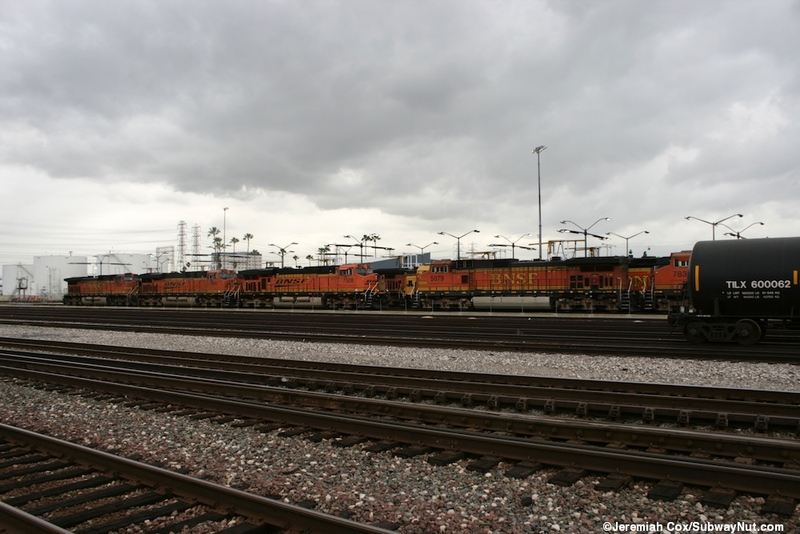 The October 1993 timetable has 3 daily Amtrak trains stopping at the station, plus the weekday's Orange County Commuter round-trip which Metrolink took over operations of on December 6, 1993. 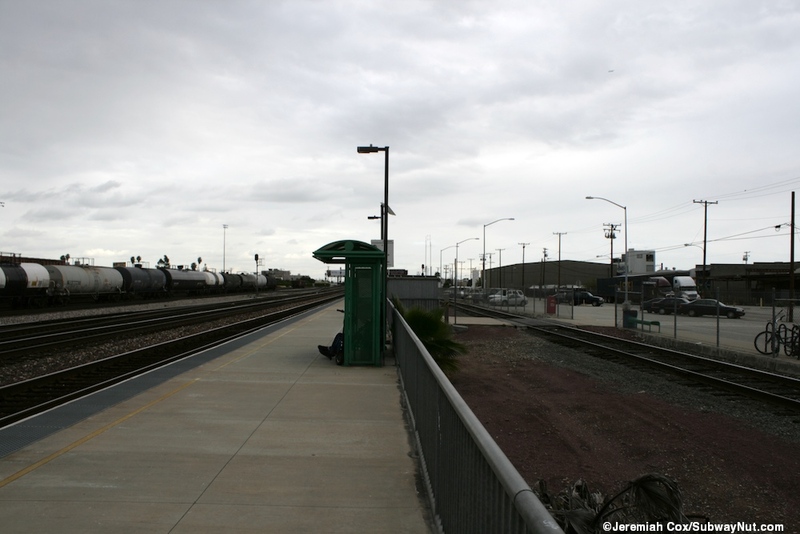 Amtrak San Diegan service was discontinued at the station in the October 1998 and today it is one of the few stations that only limited Metrolink trains stop at (almost all stations are served by every train that passes through) with just four rush-hour to L.A. 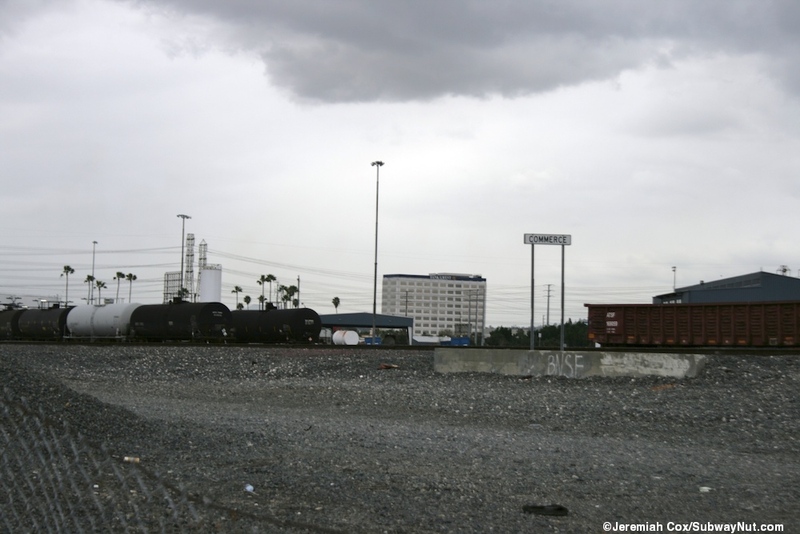 In the AM and to Orange County in the PM stopping in the station. 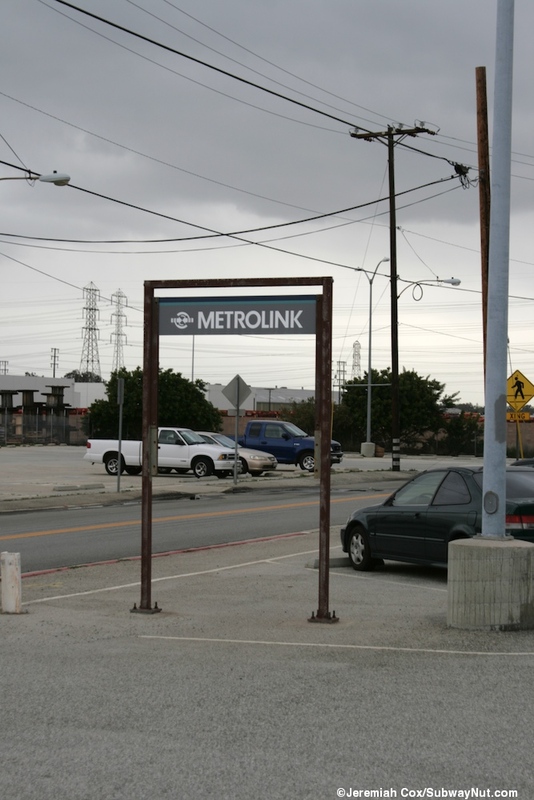 All Metrolink 91 Line trains and Amtrak's Pacific Surfliner and Southwest Chief bypass the station. 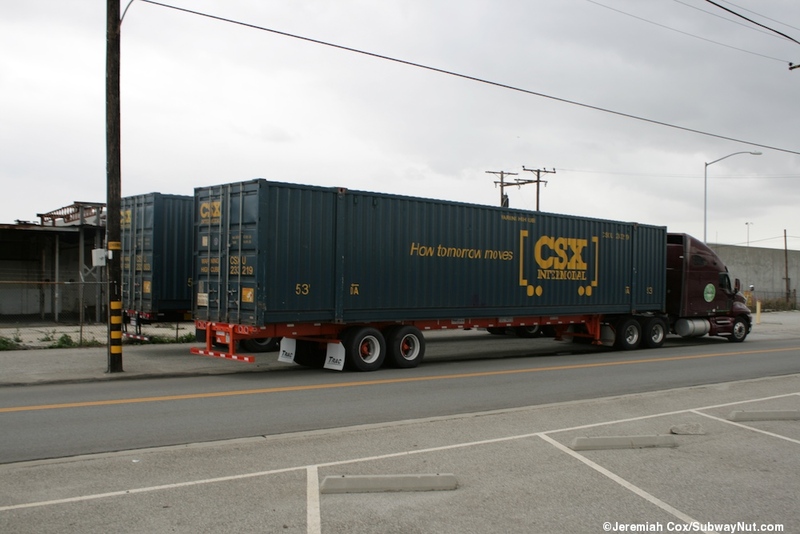 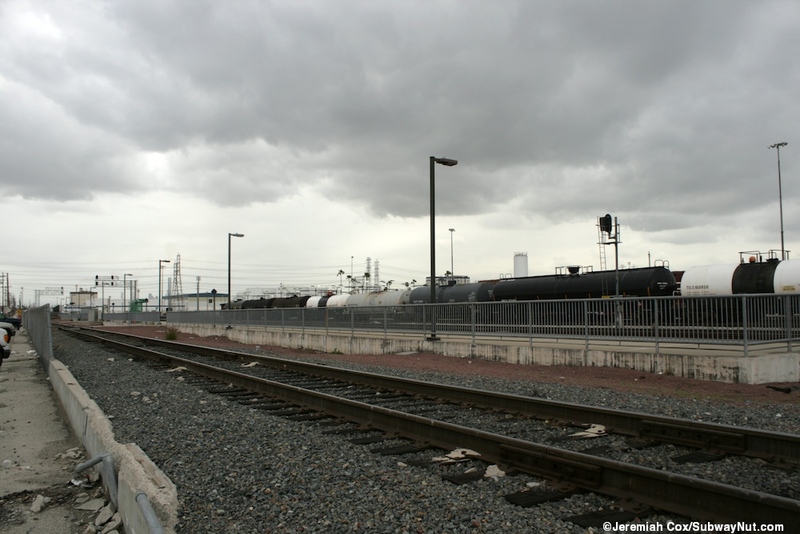 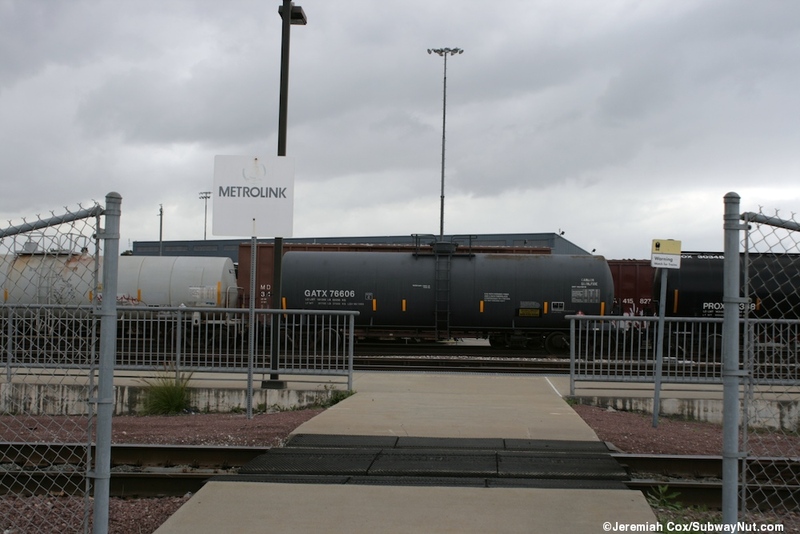 The station is located on the edge of the BNSF Commerce Diesel Maintenance Facility and the single platform offers and excellent view. 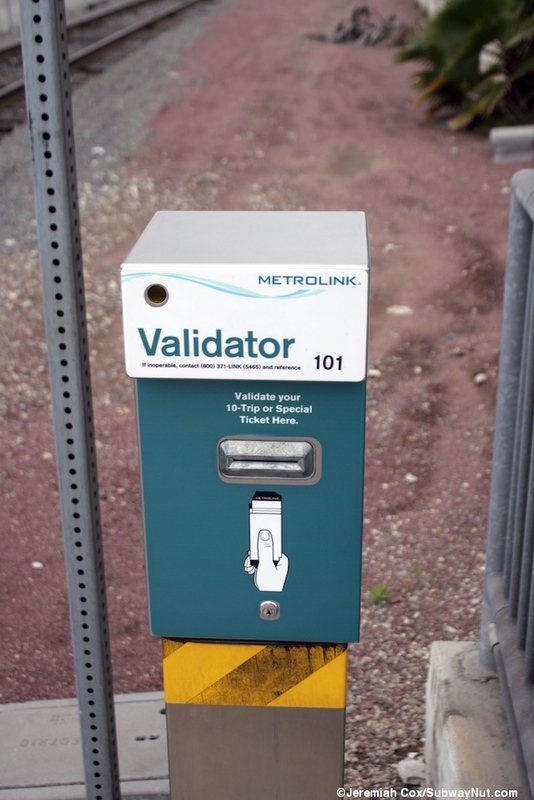 This platform has simple modern black lampposts, a grey railing, and blue tactile warning strips. 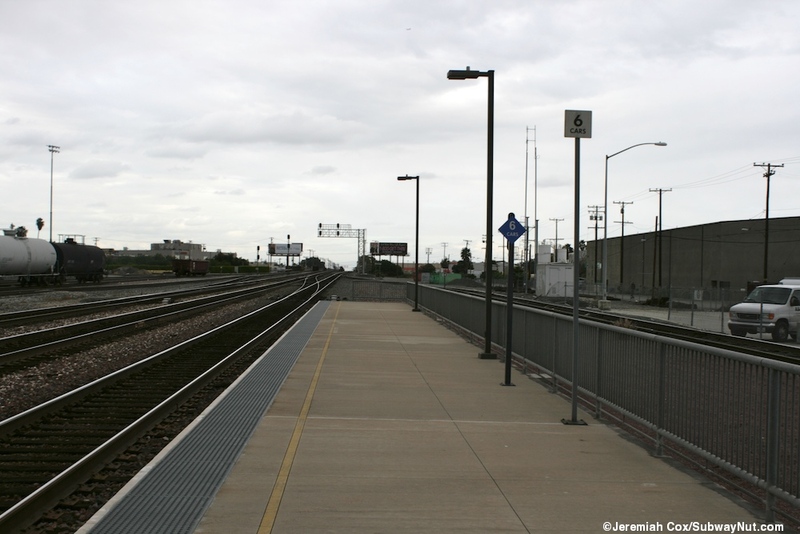 There is the required ADA ramp towards the northern end of the platform. 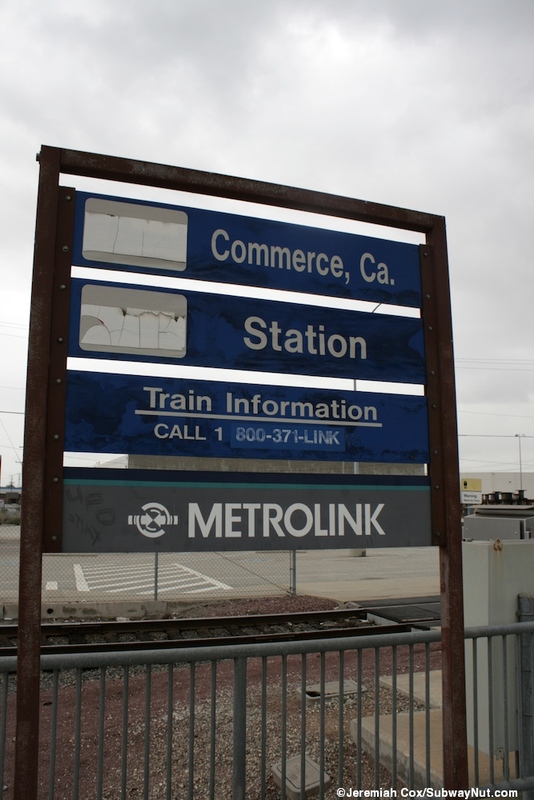 A platform sign is blue sign with the Amtrak pointless arrows covered with white table and Metrolink's 800-371-Link covering up 800-USA-RAIL for train information. 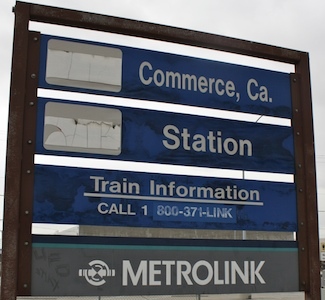 A panel with the Metrolink logo is beneath. 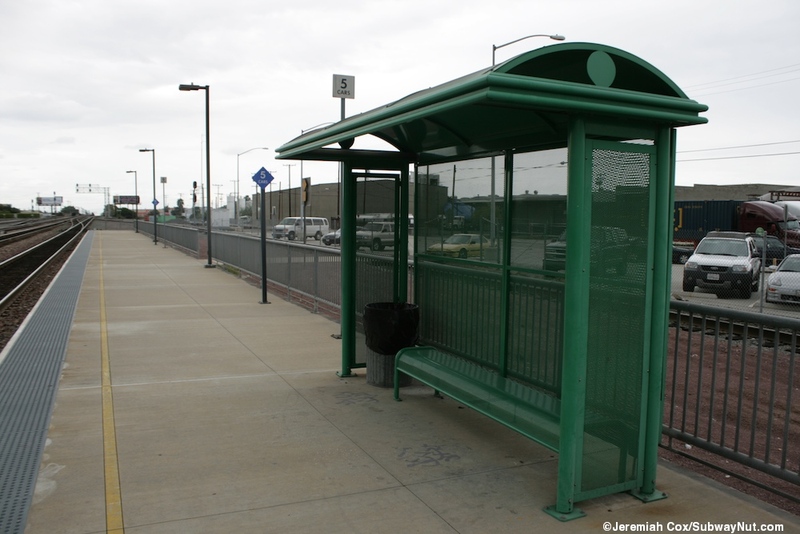 Shelter for waiting passengers is just two green metal bus shelters with benches beneath them. 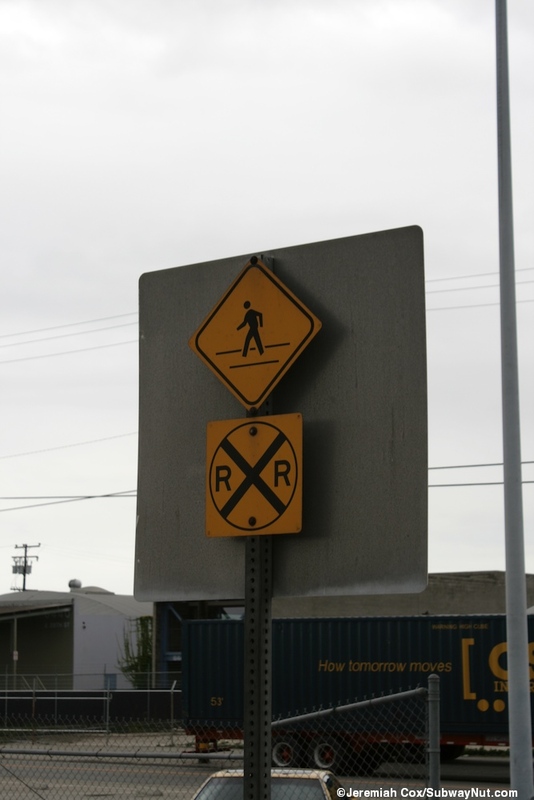 To reach the platform passengers must cross a secondary siding track at crossing with just sings and no warning devices. 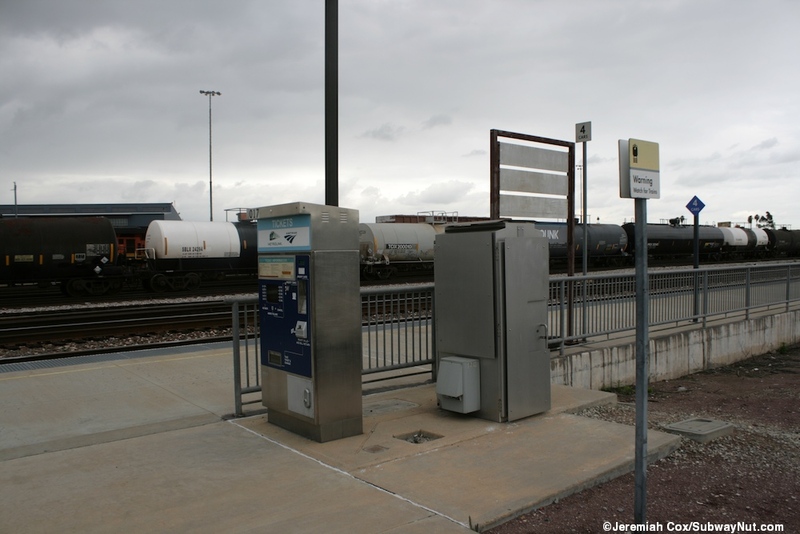 There is a central wide crossing with two TVMs alongside each side of the platform entrance. 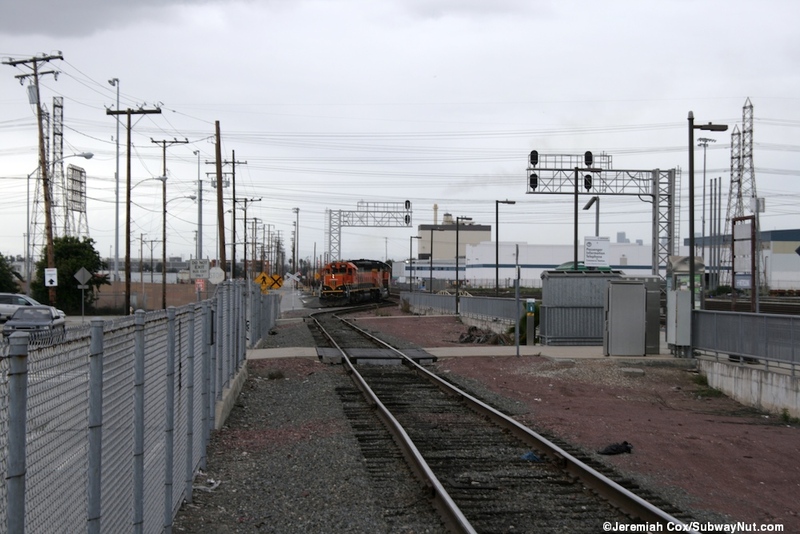 There are two more on each end of the platform which lead to a 135 space Park & Ride Lot at the end of 26th Street (which leads to an intermodal train facility) in an industrial neighborhood and portions of this street lack sidewalk access. 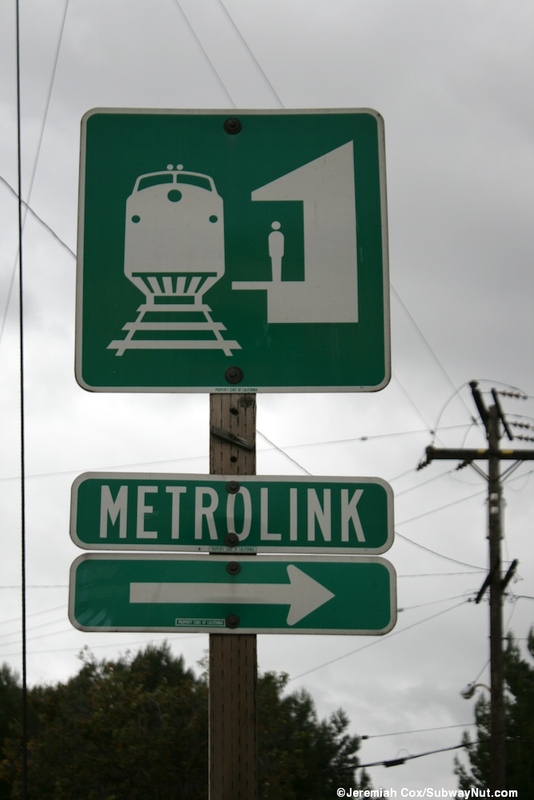 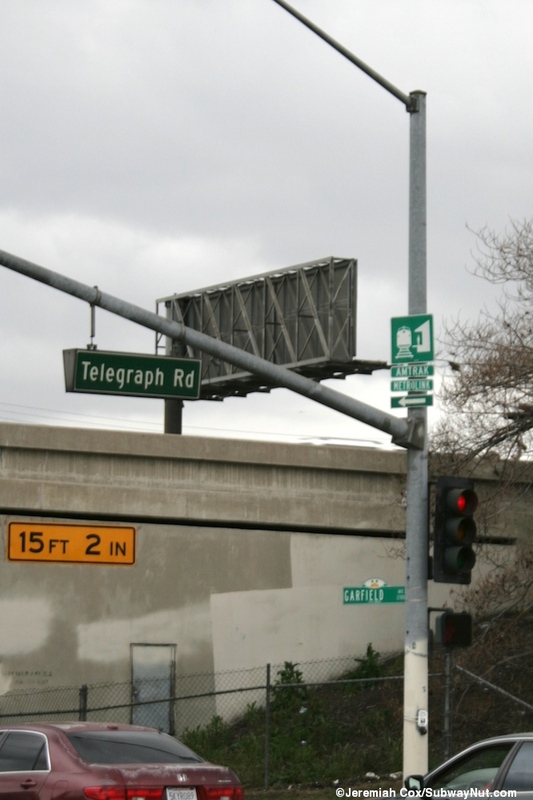 Directional road signs for the station have a visible gap beneath the generic train station logo where Amtrak was once written above Metrolink.